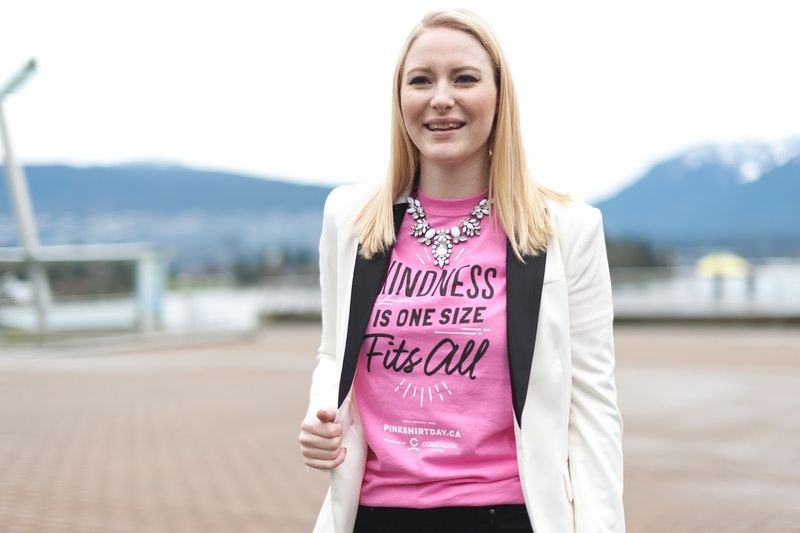 Vancouver Vogue: Pink Shirt Day 2016: Kindness is One Size Fits All! 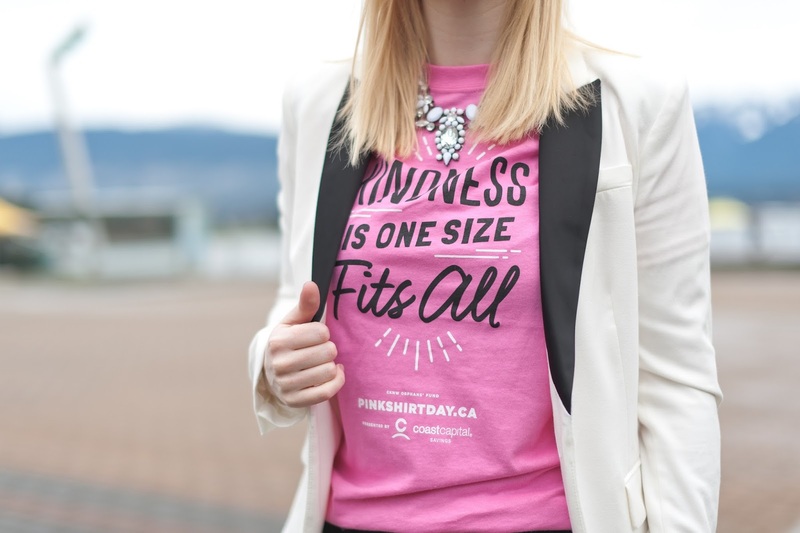 Pink Shirt Day 2016: Kindness is One Size Fits All! Pink Shirt Day is Wednesday February 24th this year - will you stand up to bullying in style with us? Pink Shirt Day was started by 2 teenage boys in Nova Scotia, who decided to wear pink to support a fellow student who was bullied for wearing pink. 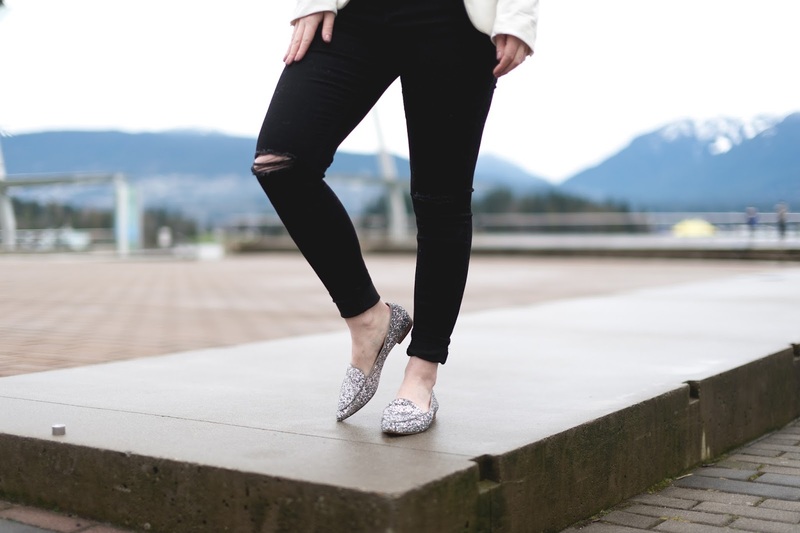 They rallied their high school to wear pink as well, in support of the student, and soon the message spread right across the country, with Canadians all standing up to bullying by wearing pink. 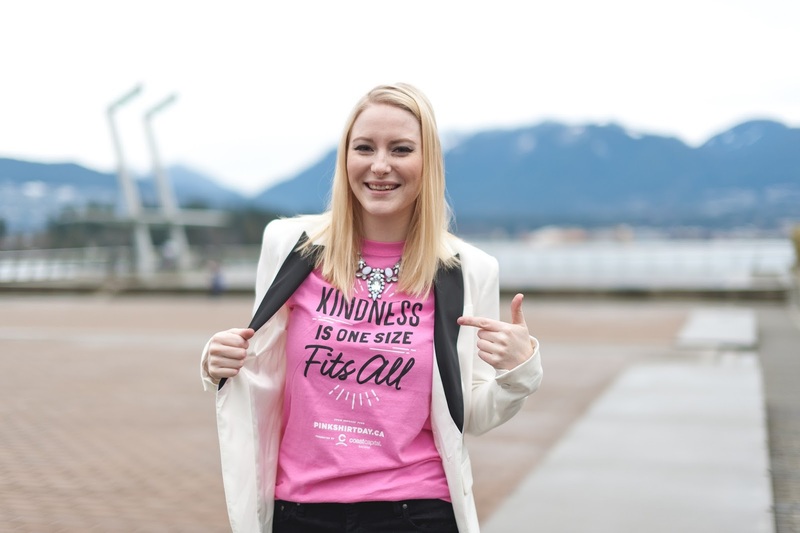 What has now become an annual event, Pink Shirt Day raises awareness against bullying, and this year, is spreading the message of Kindness is One Size Fits All! 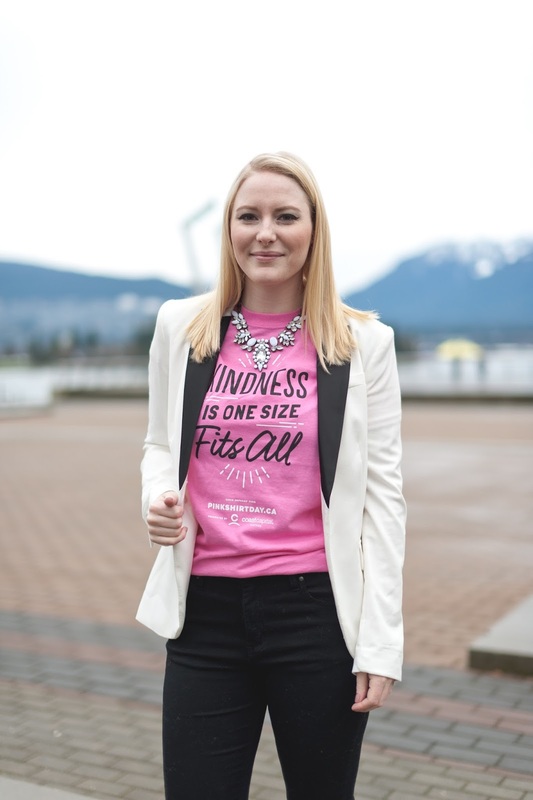 The Pink Shirt Day t-shirt I'm wearing below can be purchased exclusively at London Drugs stores, and the net proceeds go to the CKNW Orphans Fund in support of Boys and Girls Clubs anti-bullying programs. 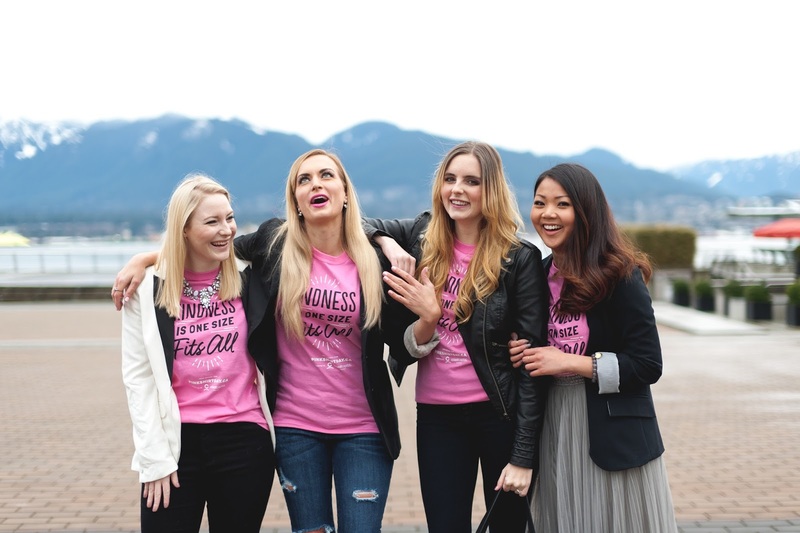 This is the second year I've participated in Pink Shirt Day; I had a blast last year styling this look, and was joined by a host of other fabulous ladies who also styled their own Pink Shirt Day t-shirts. 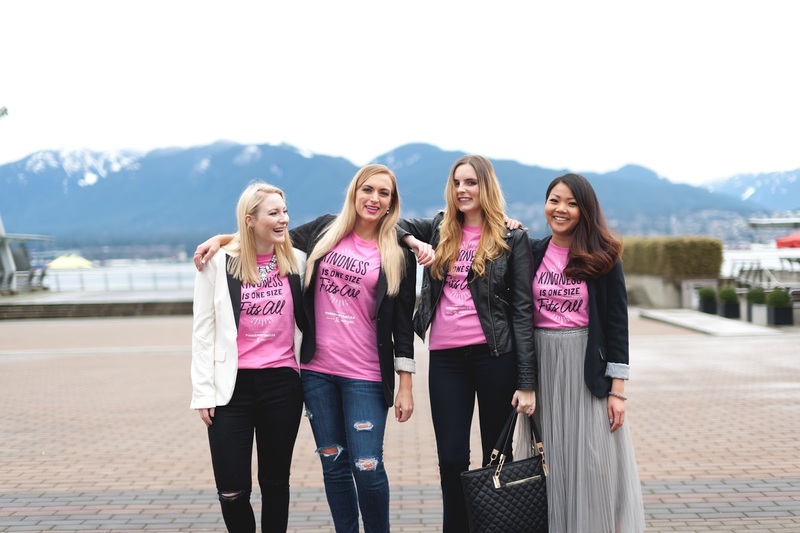 This year, I was joined by the fashionable bloggers Leeanne of Legallee Blonde, Bree of The Urban Umbrella, and Elizabeth of The Style Saver - make sure to check to check out their blog as well to see them rocking their Pink Shirt Day t-shirts! 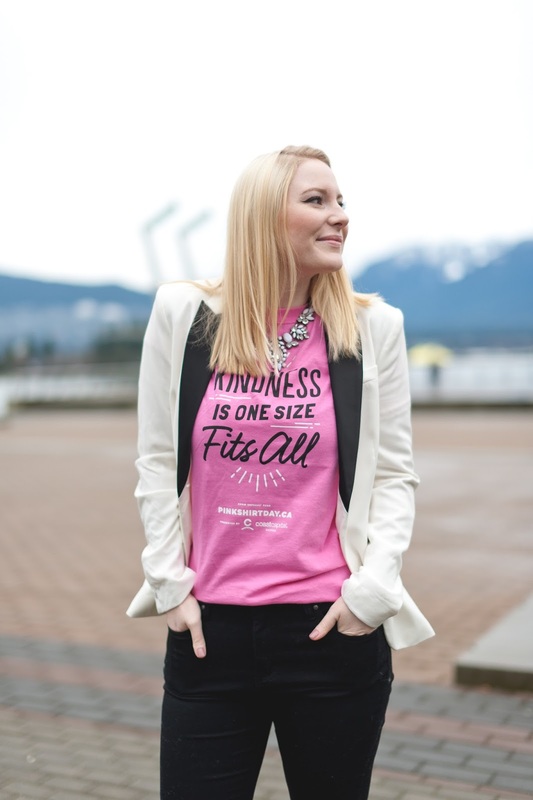 So I invite you all to style your own Pink Shirt Day t-shirts in support of anti-bullying, and show that kindness truly is one size fits all! Wear your Pink Shirt Day t-shirt on February 24th and stop bullying in style. 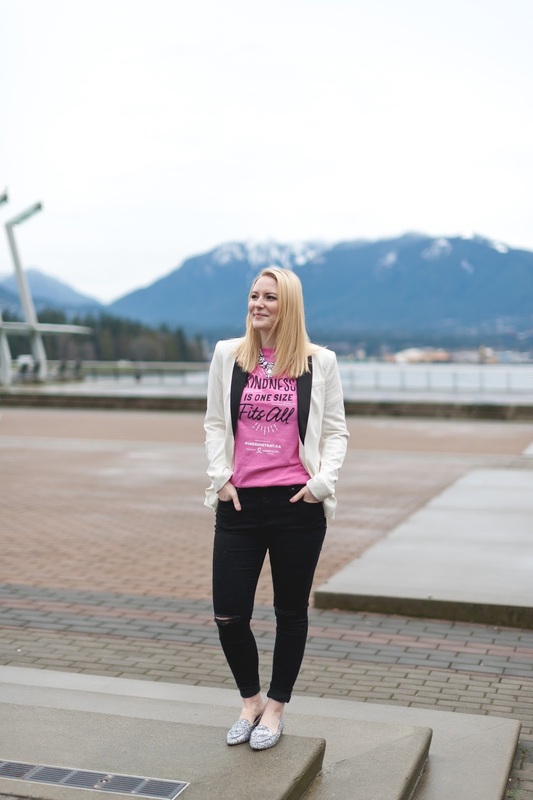 Tweet and Instagram your photos using the hashtag #pinkshirtday and don't forget to let your followers know they can get their own official PSD t-shirt exclusively @londondrugs! 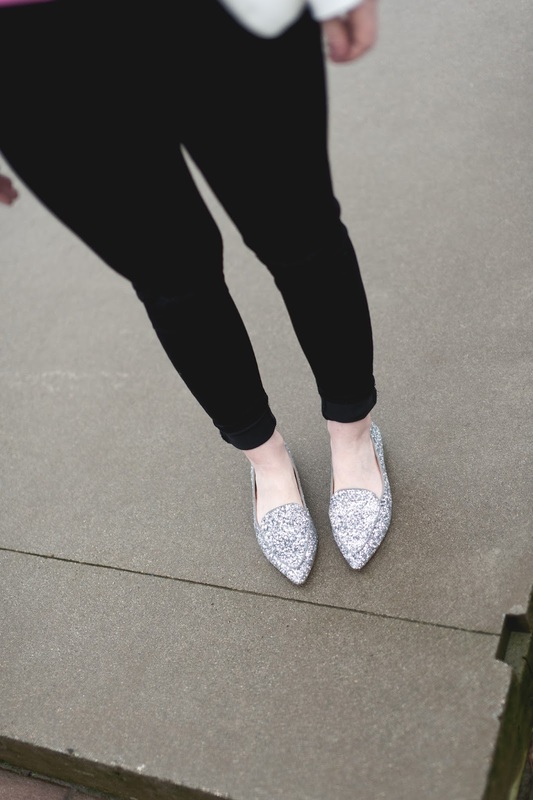 See (left to right) Legallee Blonde, The Urban Umbrella, and The Style Saver for their PSD outfit details!